Amanda is a homeschooling mom with 4 kids. She's busy, but she jumped into this challenge with both feet! She openly shared pictures of her cluttered home and used the group for accountability to help her finish decluttering projects. And I loved how she share her excitement over her kids being out for a few hours so she could declutter. Or a meeting ending early so she decluttered with the extra time. She even noticed that when she was upset, she would declutter and it would help her feel better. She also got her husband and her kids on board and they decluttered too! She was able to get rid of well over 365 items... maybe even thousands of things left her home this year! 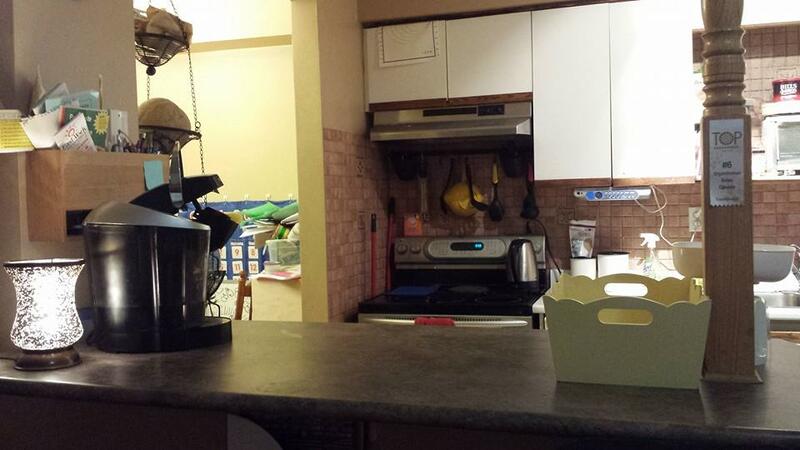 Here are just a few examples of decluttering projects Amanda shared with us. Look at the difference after decluttering! She added a pretty yellow box to collect things in to keep the counters clear, and empties it regularly so the clutter doesn't creep back. 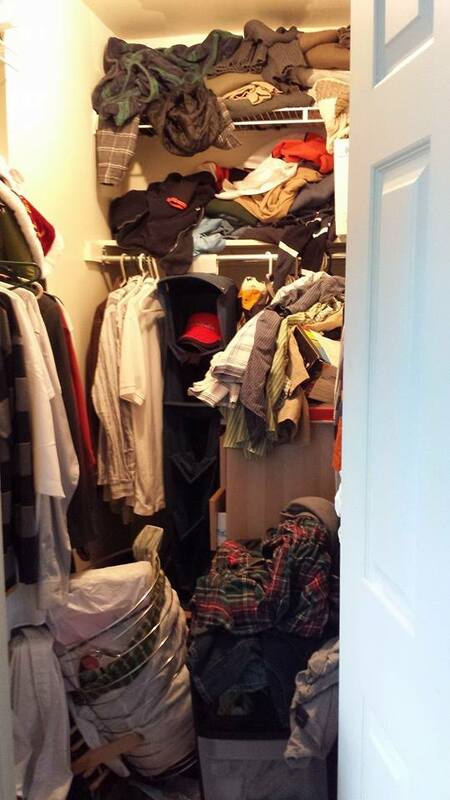 Amanda also decluttered her master closet and purged lots of clothes. Her husband was the only one using this closet before (she was using a wardrobe), but after decluttering, she was able to move her clothes in too! Throughout the challenge, Amanda has donated many bags of purged items, sold some items, and given others away. She fully admits, she still has more decluttering to do, but is pleased with her progress. Great job Amanda! 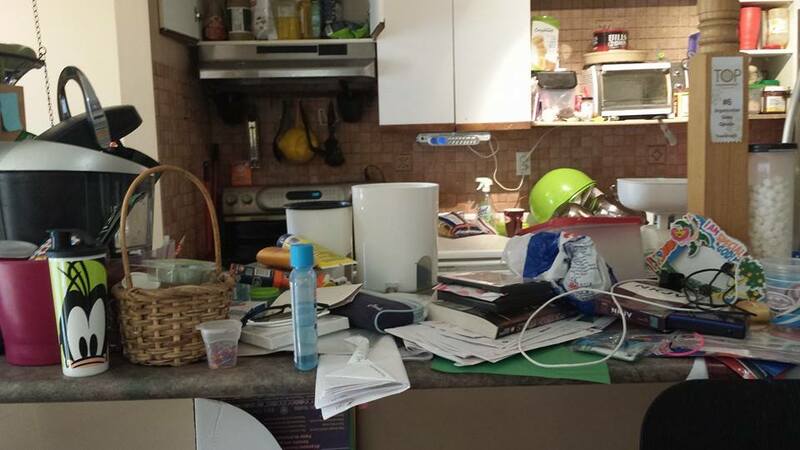 Lindsey moved this fall and decluttered a lot before and after her move. She reached her 365 items by May and set a new goal of 730 by the end of the year! She's very close and should reach her revised goal. 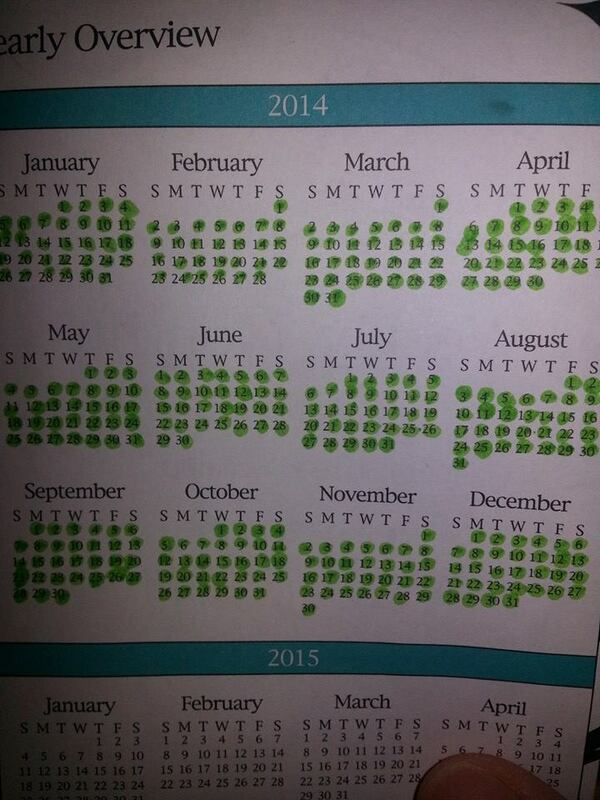 She tracked her progress on a calendar to keep things simple... I love that! Lindsey tackled paperwork by scanning lots of pages and then recycling the originals. It was tough going through all the paper, but worth it in the end! One of my favourite projects that Lindsey did this year, was her wedding book. 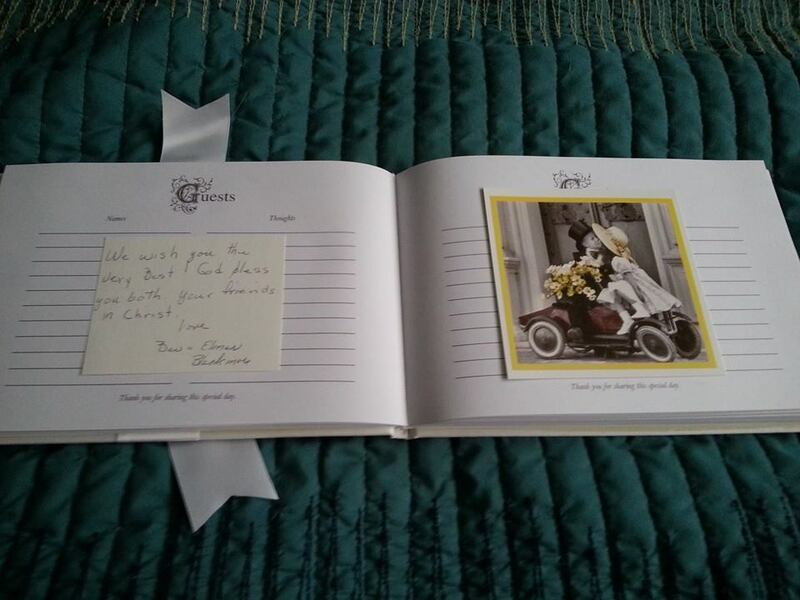 She used the blank pages of her guest book and turned it into a scrapbook with her favourite wedding cards, an extra invitation, an extra program, and other special mementos. What a great way to be able to honour those memories instead of having bins full of wedding items you never look at! And she was able to purge all the other cards, along with her bouquet and the extra invitations and programs. Great job decluttering Lindsey! And thanks for sharing your journey with us and encouraging others in their decluttering efforts. 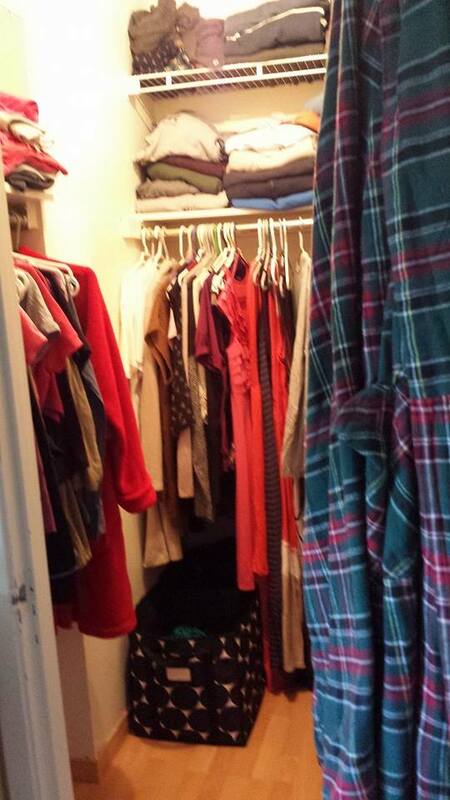 Sandi - Just doing my bedroom closet reduced my daily stress. I couldn't find anything I was looking for without it being an ordeal. It took me a full day, but conquering that one space, ruthlessly, has gotten me back on track with the rest of my decluttering and after seeing the results my husband has started working along side me so we're decluttering 2 areas at once. Glenda - This blog helped me so much...I had to place my 73 yr old mom in a nursing home, and sell her house! I work 50+ hrs a week and have a 2&4 yr old. I had 6 Sundays to clear out my childhood home, filled of memories, that are lost because of her dementia, and my father died 32 years ago. It was hard. But this blog supported me, inspired me, and motivated me to work through it! Thank you..10 months later, I am still working on it! But it's better! Lindsey - I learned two really important things while doing this challenge. The first was to have a decluttering mindset all the time. I used to just put up with drawers that were too full, a closet that was too crowded, etc. Now as soon as I notice something I toss a few things to make it less crowded. I've learned to do things little bits at a time instead of waiting for some huge decluttering in the future. I check expiration dates on food and clean out cupboards while I'm cooking. The second is that I've changed my process for some of my biggest types of clutter. I used to keep all cards, letters, receipts, and other pieces of paper. I had multiple boxes full of them. Now I display cards for a month or two and then decide to either keep them in a scrapbook (this doesn't happen often) or I get rid of them. I sort my receipts and other papers into a shoebox that I keep for one year or a binder of important papers that I keep indefinitely. 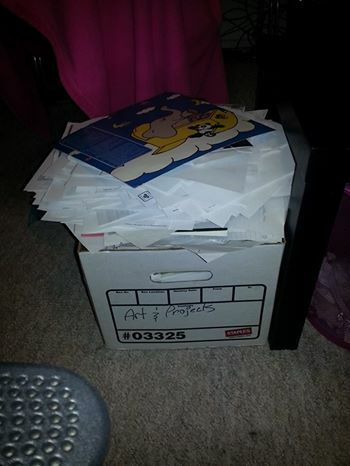 Everything else goes in the trash - I no longer have any files. No matter how busy you are, you can find time to declutter one single item per day. It's not overwhelming then. You don't have to find time in your schedule to declutter a whole room. Just find one item every day that you no longer need, use, or love. Like Amanda and Lindsey! We may be moving in the next year, I am going to be decluttering and purging a lot. Doing your challenge should help.